"The Village Arc 1950" is a unique concept in Europe, entirely pedestrian village located in the heart of the French Alps. Everything has been designed for unforgettable holidays in Les Arcs: luxury residences, relaxation areas with free access to swimming pools, saunas, steam rooms and Jacuzzis, shops and restaurants on site, all in a warm and intimate atmosphere. Suitable for everyone, "The Village Arc 1950" organizes numerous events and activities for all ages. 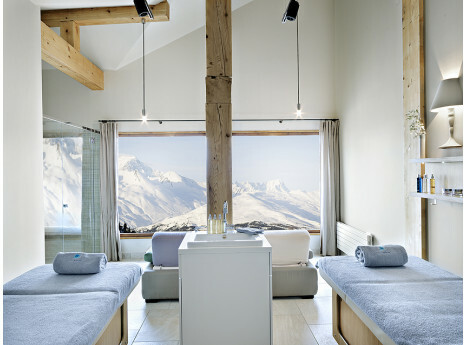 o	7 treatment rooms - 10 treatment beds: 3 double treatment suites and 4 single treatment rooms, including 3 treatment suites facing Mont Blanc - will provide you wellness and relaxation. o	Nail Bar Area. A space dedicated to the beauty of nails.